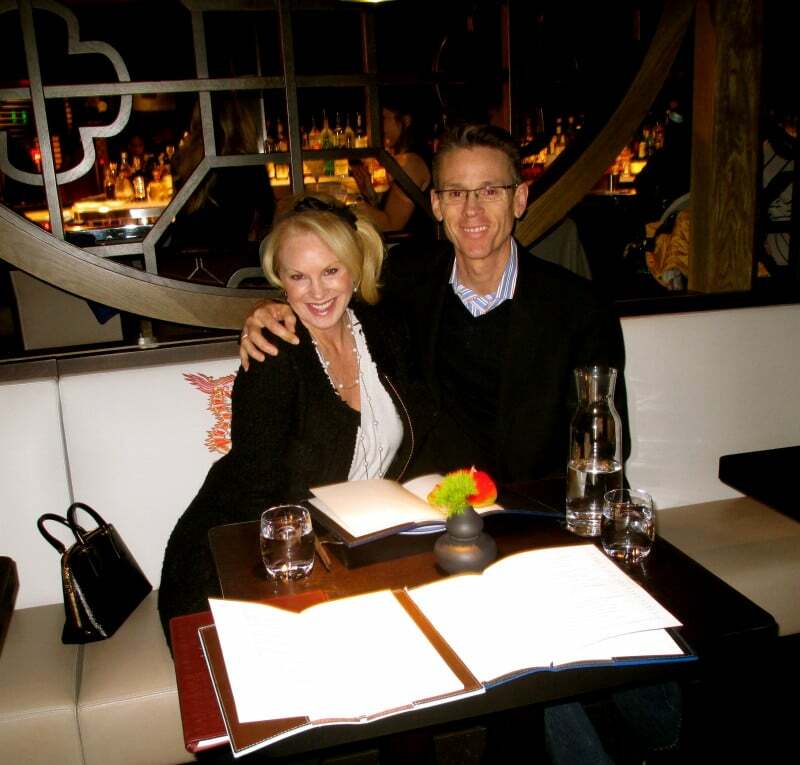 We had a wonderful dinner at the new and notable Hakkasan Restaurant in SF the other night. 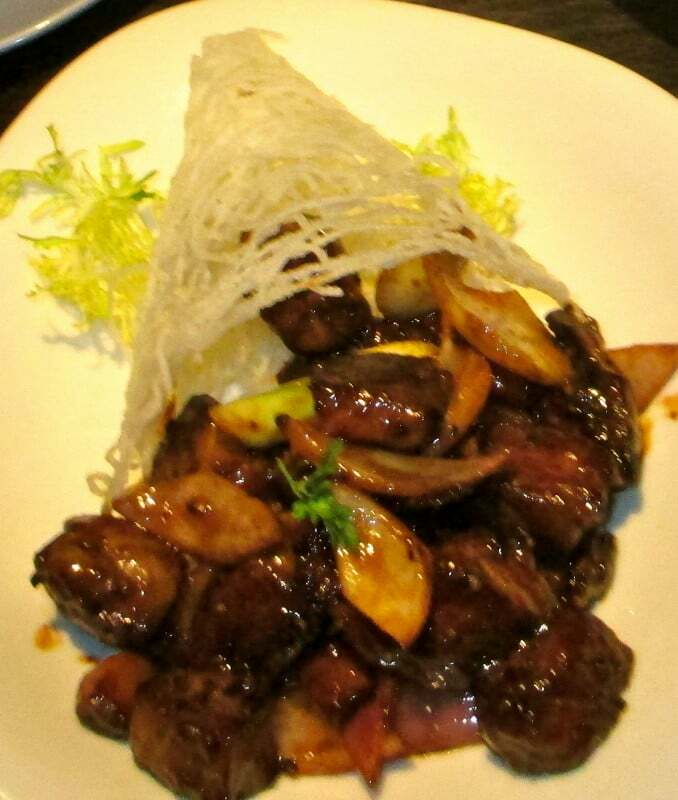 This chic high-end Chinese is my new favorite for their Crispy Duck Salad and the Smoky Negroni Cocktail. The restaurant is an international chain and has opened their doors in SF and is located on the second floor of the historic Kearney Building near Union Square. 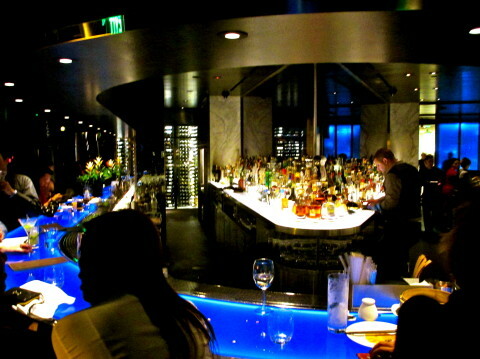 Immediately entering the restaurant you can feel the “cool” vibe with club music and modern decor. 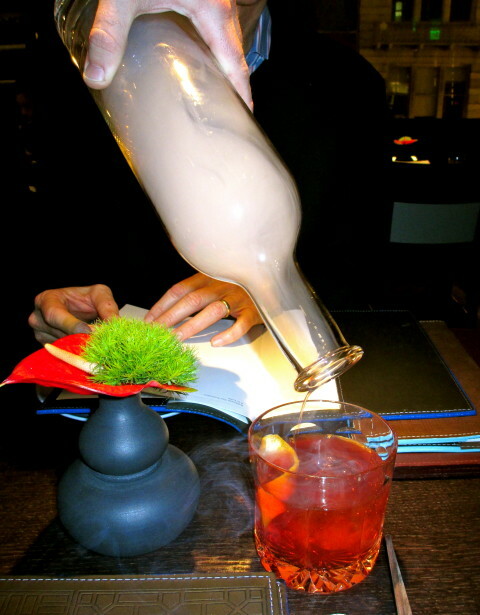 The Smoky Negroni Cocktail (above) is presented in a decanter, where it mingles with smoke from woodchips that have been soaked in Grand Marnier. Then it is poured over a perfectly round sphere of ice with a beautiful orange twist. The cocktail is as spectacular as the presentation! The Crispy Duck Salad (above) is a masterpiece! Trust me, even if you think you don’t care for duck, this is perfection! 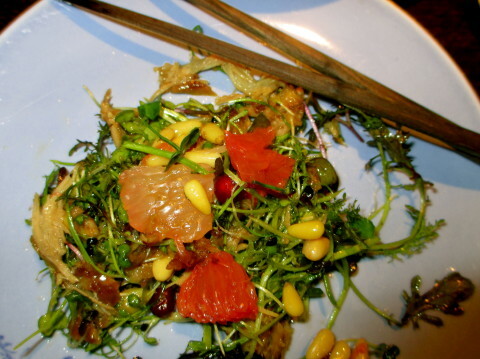 The combination of pinenuts, pomegranate and shallots with the crispy duck is delicious. All of the dishes we ordered were very good including the Stir-fry Pepper Beef Ribeye with Merlot (above) and service was extremely professional… but I’m going back for the duck salad and Negroni!! !